Eric Schlange, webmaster and editor of ZwiftInsider, has built an insanely successful community resource for enthusiasts of the virtual cycling platform. Eric Schlange graduated from Bradley University in 2001 and by that time, he was already an entrepreneur. In college, he started a custom web development and design company called BitSculptor that he still runs to this day, 21 years later. BitSculptor was a "springboard" for a lot of Eric's efforts, including The Banjo Hangout, a website for banjo players that gets around 30,000 visits a day. Similar to BitSculptor and several other smaller projects, Eric still maintains this site. 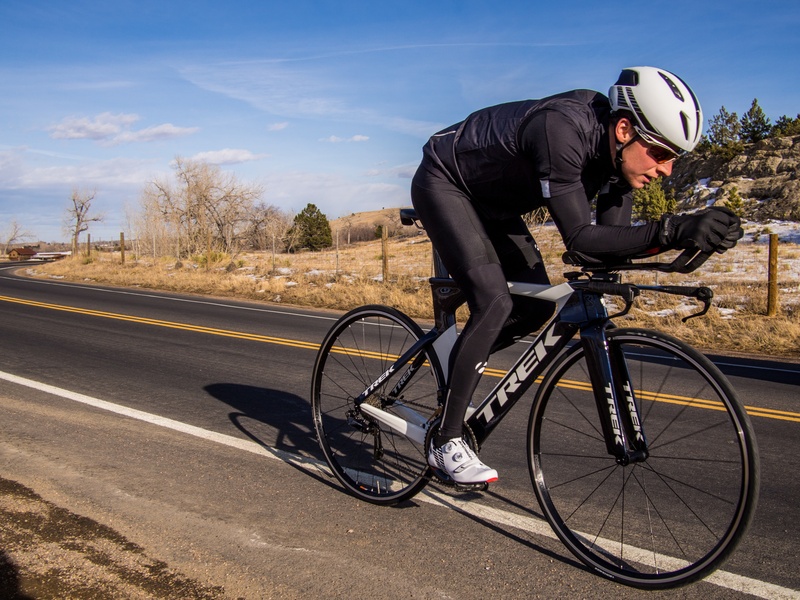 What I would call a "serial entrepreneur", it was only a matter of time before Eric combined his love for business opportunities technology solutions with his passion for cycling. And so ZwiftInsider was born. Before getting into ZwiftInsider too much, we need to dig into the crazy movement that is Zwift. Zwift is a massive online cycling and running game and training program that enables users all over the world to interact, train, and compete alongside one another in a virtual world. In simple terms, it's a video game that doubles as a virtual cycling and running training program. The platform has been so insanely popular that there's actually a World Cup race event that was started by a group of Zwift Enthusiasts. Similar to ZwiftInsider, the event isn't officially affiliated with Zwift but almost wholly revolves around it. Eric and his wife actually recently made the trip to LA for The CVR World Cup, where they got to watch and cheer on 20 of the top Zwift racers while they competed together within the platform. It's no small feat to be a winner either, the prize money can get up to almost $8,000. So with a little bit of context, it's easy to see how a following formed around this virtual cycling platform and virtual training in general. An active participant himself, Eric started ZwiftInsider almost 4 years ago to create a community resource for enthusiasts to share tips and tricks as well as insider updates on Zwift. Can't get enough Triathlon Bizcast? Check out our episode with Chuck Menke from USA Triathlon. Do You Have The Inside Scoop? What's the deal? Does virtual training really have the momentum? Just kidding, but realistically, Zwift and ZwfitInsider have just continued to grow every year and so has the practice of virtual riding. Especially for riders like me in Ohio, where it's hard to tell what you're going to be riding in. Instead of getting in one good ride on a nice day, you get to train as many days as you want while you're inside on Zwift. With all of this growth and arguably some untapped audiences (we're looking at you, tech-challenged racers), ZwiftInsider isn't slowing down because Zwift isn't either. Eric's goal for the site? To be the Number 1 source for all things Zwift. Right now, he's producing a lot of content along with about 10 or so regular contributors. But the real sweet stuff is happening with the individuals in the community who are producing great content but don't have the easy access to such a large audience. ZwiftInsider gives them that access. That's it for this episode of The Triathlon BizCast. Be sure to listen to Eric's full episode to learn more about what's going on with this virtual cycling and virtual training movement and how ZwiftInsider is staying inside it all.